It was 7PM of last Wednesday, and I’m feeling good. Though papers works are kind of tedious and sometimes exhausting – it doesn’t matter now. It’s Wednesday! And for us urbanites – Wednesday is Lady’s Night! But I’m not in the mood for visiting my favorite bar. I already have in my mind what should I do. Why would I go to the bar, were I can bring the bar to my place? 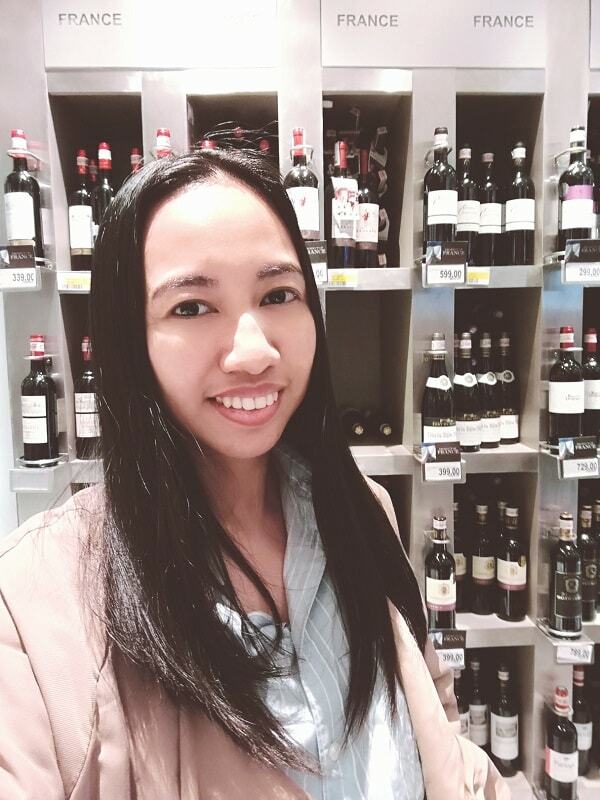 I decided to pay a visit at the nearest Rustan’s Marketplace because they have good selection of wine recently, and I entered their store I felt that sudden butterflies on my stomach. The feeling made me so excited I have to faster to get closer. Not that I saw a gorgeous man (sorry ladies, but I can tell you more about men on my next posts, tse tse). 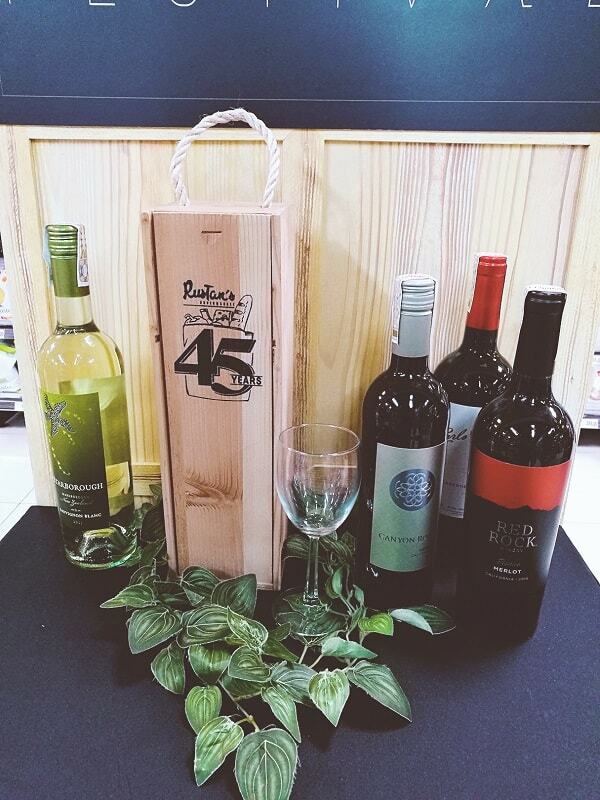 Am talking about Rustan’s Wine Festival booth, were they displayed their good selection of various wine from various suppliers. Ladies, am not a wine expert. I am just a lady who appreciates the beauty and philosophy of various wine, so I can’t tell exactly lots of technical terms the way a sommelier talks. 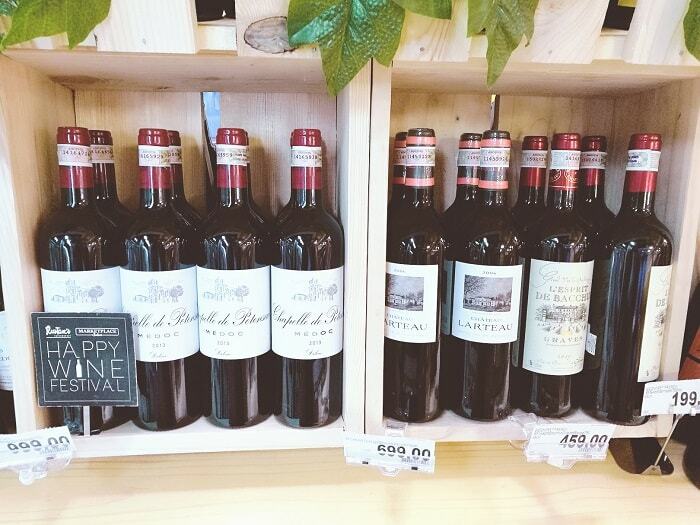 However, whenever I saw a wine beautifully displayed like these, ahhh am feeling like Rebecca Bloomwood of wine. Rebecca Bloomwood is not a shopping or fashion expert – she just love to shop and it does makes her happy. Her world makes it more beautiful. 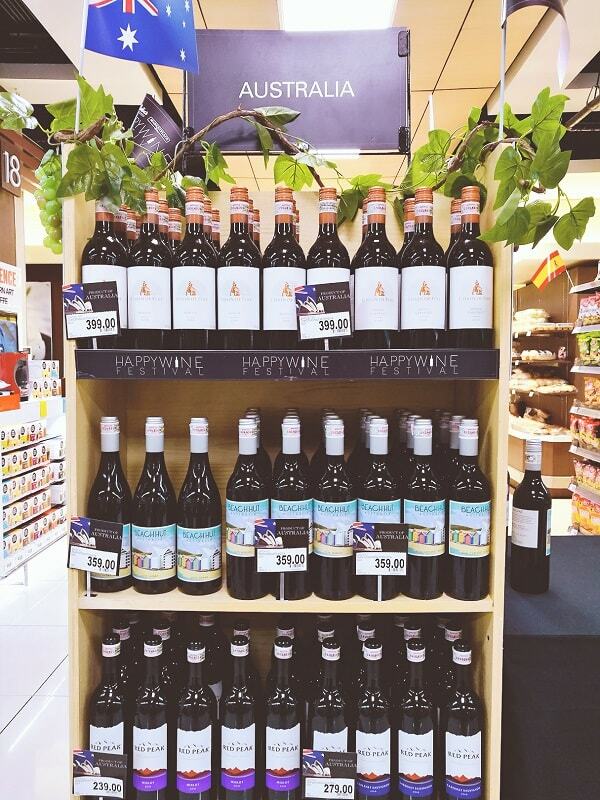 Wines from various vineyards of Argentina, Chile, France, Italy, Spain, United States, New Zealand, and Australia are all lined-up for display, like a gentleman ready to be picked-up by his lady. They have Pinot, Bordeaux, Sauvignon, and Champagnes, you name it they have it. 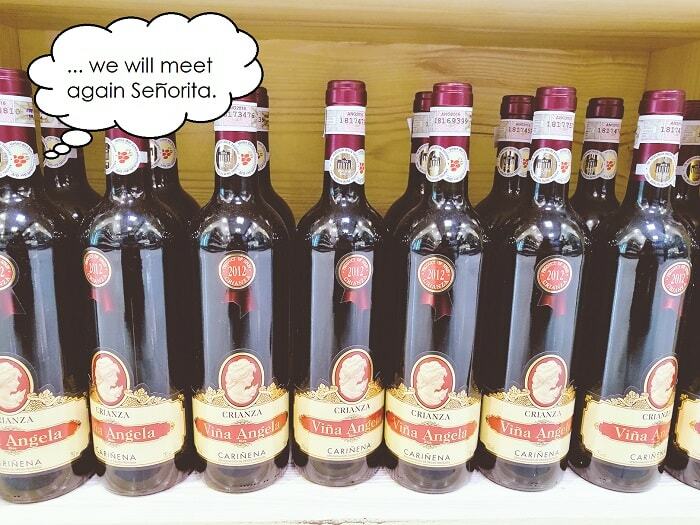 All I would do is just pick the bottles that I desire. However, I haven’t seen some vintage wine. And I’m telling you that you can’t find it displayed it. 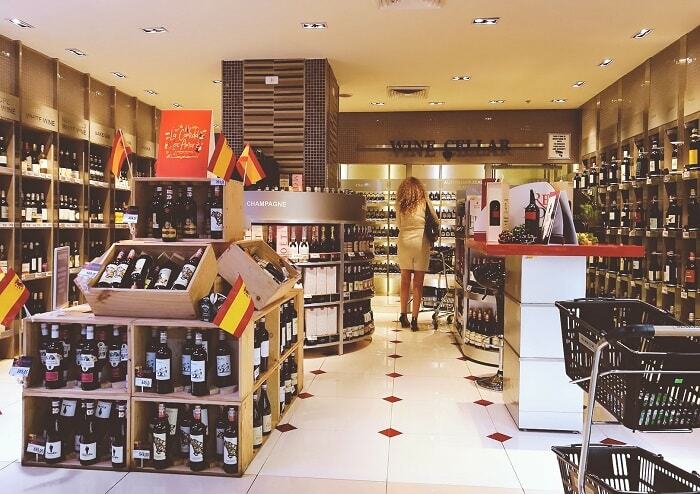 Those vintage wines can only be seen to some wine specialty stores in the Metro, and be ready with your wallet, because those wine babies are not cheap. But for now, I would satisfy first on these quite affordable bottles. Like I’ve said, I’m not a wine snob. I just love drinking wine! 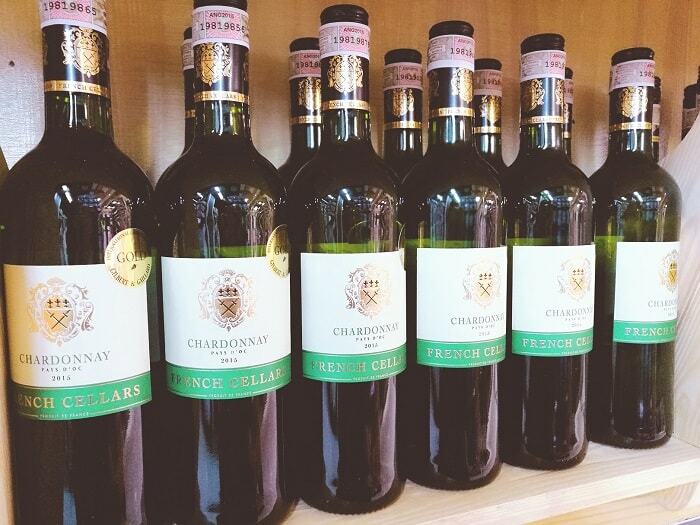 If I’m not a wine expert, how do I choose for my perfect wine? 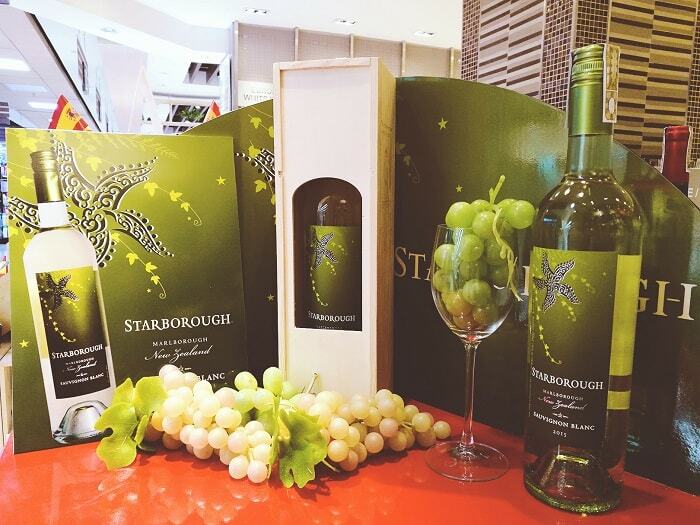 It’s simple – I choose my wine based on my mood, memories, and the stories that inspires me most. 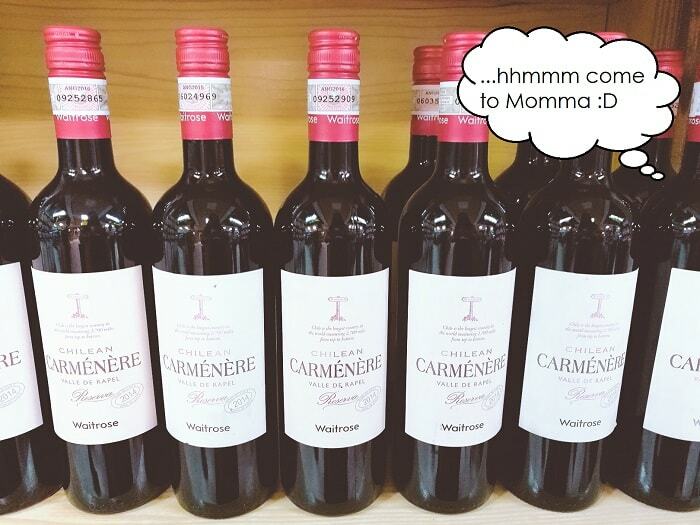 Just like this Chilean Carmenere Valle De Rapel 2014. I haven’t tried this bottle, however this reminds me of my wine liptint lipstick from Labiotte – they have a similarity in packaging! Those Moet & Chandon bottles reminds me huge celebrations like the opening of F1 Singapore Race, or the launch of the newest cruise ship. HUGE SHOUT-OUT FOR NEW ZEALAND TOURISM BOARD!!!! I always want to travel to New Zealand! The feeling of waking-up in the New Zealand morning breeze, seeing those beautiful grapefruits, in time for the harvest season – it is such a fantastic feeling. And since I have no clear opportunity yet to visit New Zealand vineyards, at least one of these bottle will be sitting in my table at home. Of course my table wouldn’t be complete without these French wines. I always wish to visit France and spend a week or two for the summer including winter. 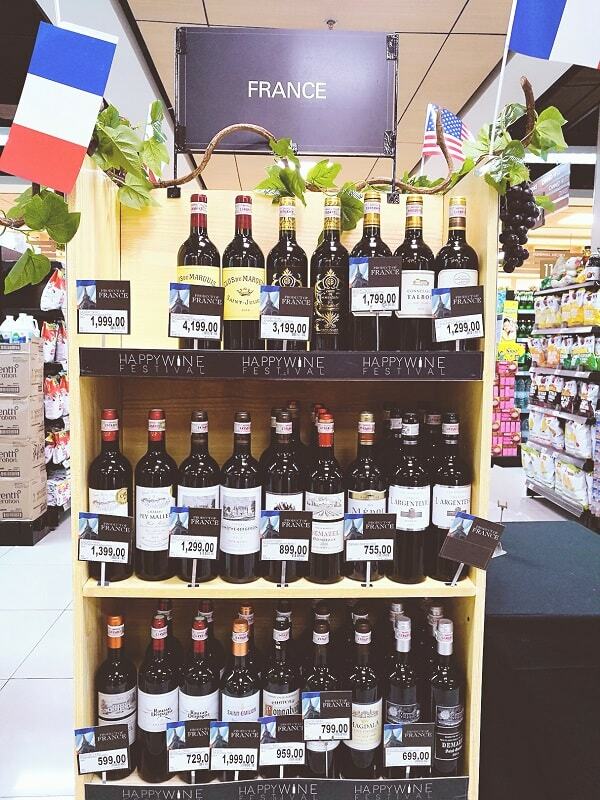 French wines, reminds me of my French lover – a true-blue romantic and a pleaser. And if my time permits, I wish to visit France soon! Specifically Paris, and feel that Parisian breeze and enjoy my breakfast at the café, and observe the people. Spanish wines are also known as one of the good ones. 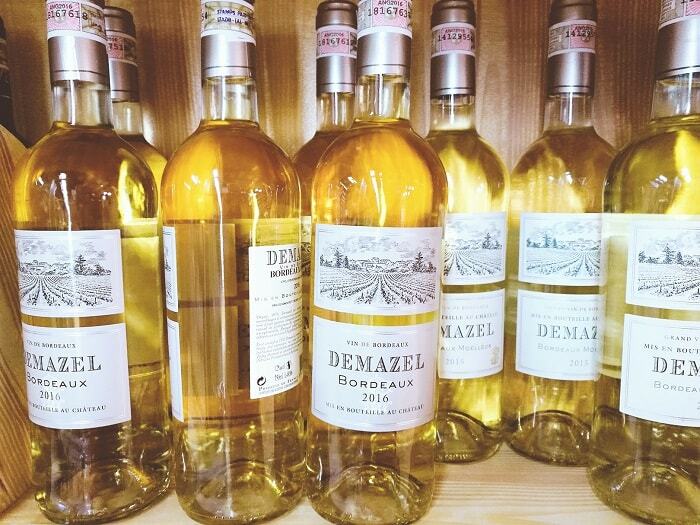 Just like the French wines, they have long traditional of making wines and mostly owned by families with long lineage. 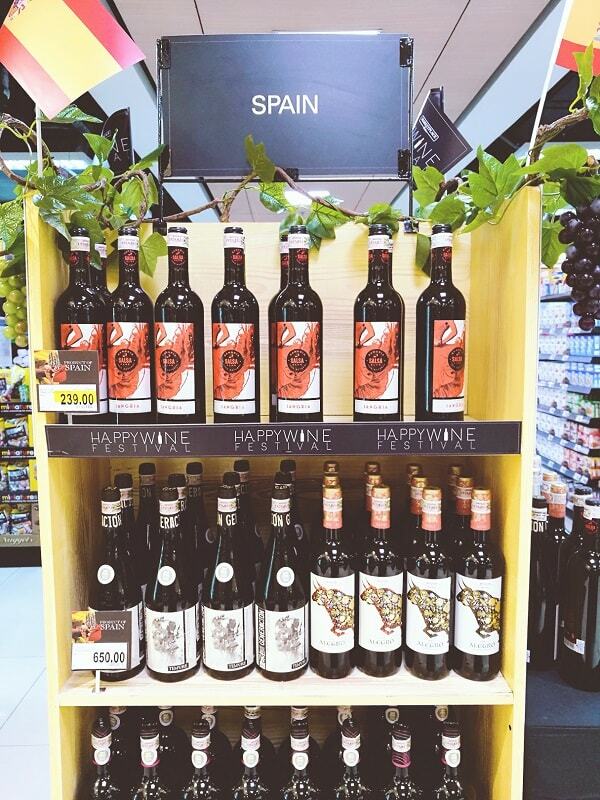 It will a shame not to have at least a sip of this Spanish wine, which am planning to get one when I come back at Rustan’s. Spain is our country’s bigger conqueror for many years, and a good allies nowadays. And one in my bucket list, is to have a celebratory toast to the Spain’s Ambassador here in Manila. But, why not the Queen per se? The land down under – AUSTRALIA. These wines reminds me of my favorite Aussie actors – Nicole Kidman and Hugh Jackman, both starred in the movie AUSTRALIA. It is a beautiful, dramatic and historical movie collaborated with the Australia Tourism. And truly helps me to understand the Australia’s heritage! I recommend that you watch that movie, and also try Australian wines. These wines are good if you want something to warm up before you go out for a full night of fun. Or just enjoying some sip while having your warm bubble bath (my all-time favorite relaxation). See how I am fascinated about wines?! And because of that, I will share some blog posts and stories about what I’ve learn about wines, including some reviews of wine I’ve tasted and consumed. And I hope that it will help you to gain even just a little appreciation with this old age tradition. 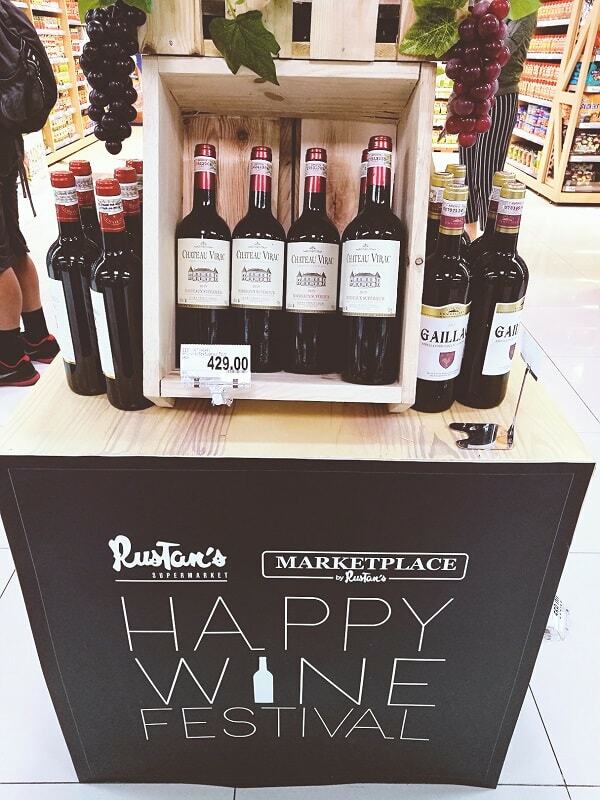 Forgive me Rustan’s for taking a photo of your wine cellar. 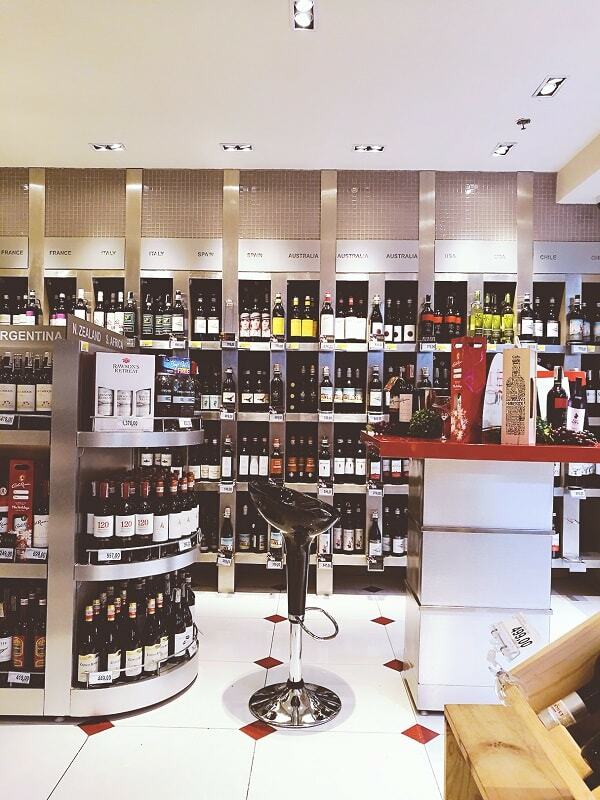 I just adore your wine section! Your wine cellar makes me happy! And whenever I am feeling happy, I tend to shop MORE! bare face but happy coz I've got my wine! So how many wine bottles did I shopped this time? Yeah, but they don't have a free wine tasting when I visited. 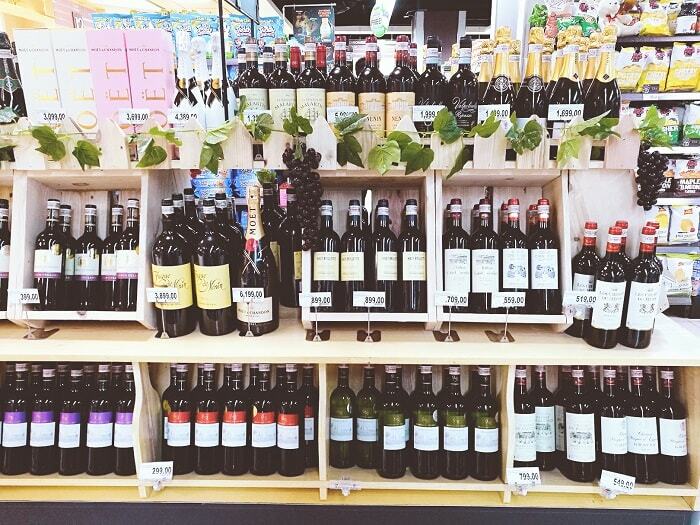 So, How many wine bottles this you shop?? hahaha!! that's really a lot of choices! 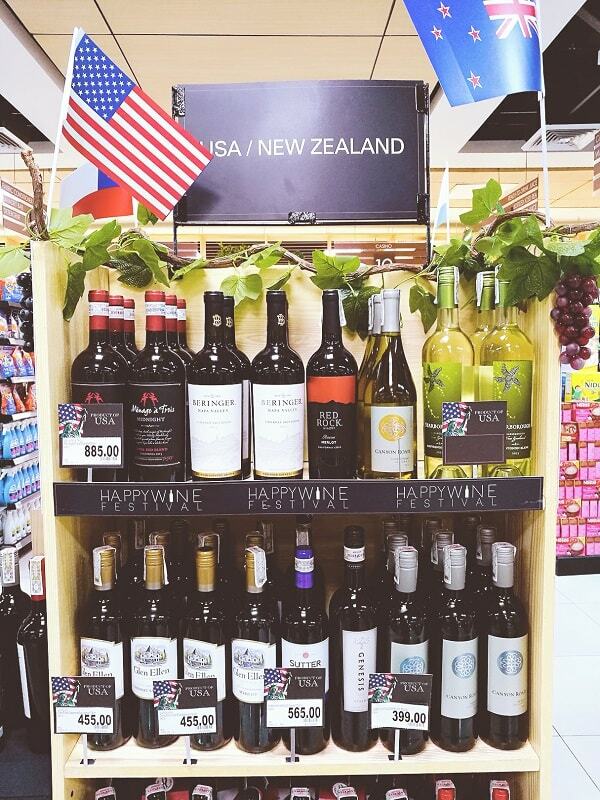 Looks like an amazing selection! Make for a great wednesday! I've never been to a wine festival. It sounds like fun! I would not even know where to begin. I'd have to taste everything first. I do not have a sophisticated palette, but I am not a fan of wine either. Just a little sip will do. I love wine tasting, so I feel like this festival would be really fun to go to. Looks like there are so many good wines! There are a lot, but I the best ones are not displayed (you know those vintage wines). One thing that is missing - no wine tasting! Wow! What a selection! 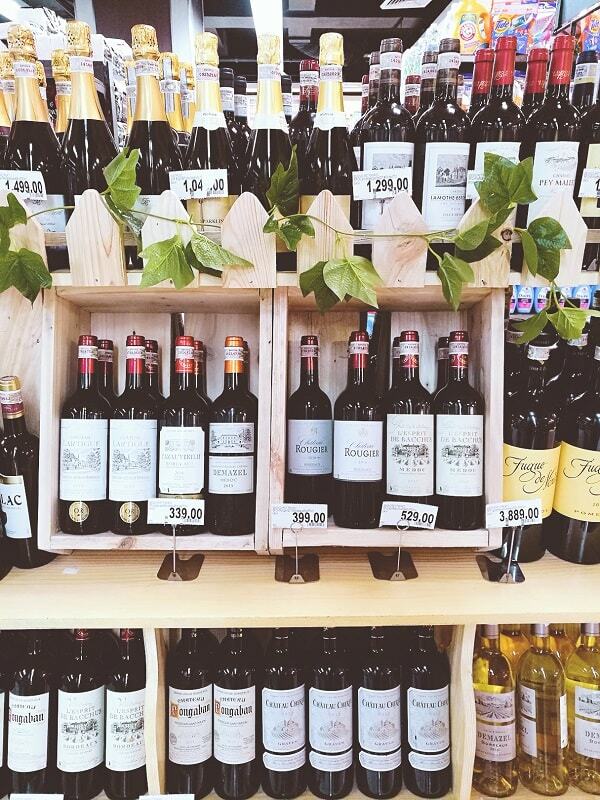 I wouldn't know where to start looking for the perfect wine with so many choices! Tasting might have led to a fun-er night! I don't think my mouth closed this whole post! These all look amazing! OMG Gingy, you need wine! Yeah so true, but they didn't provide a wine tasting area. 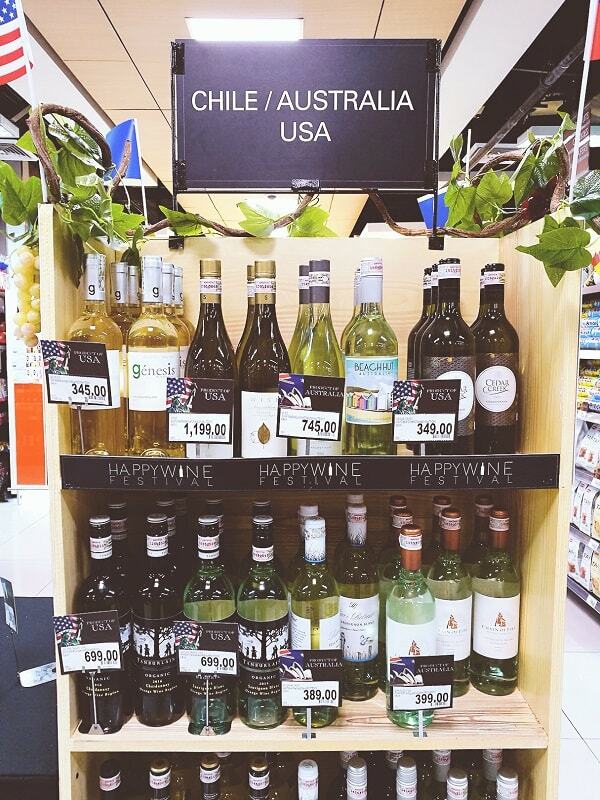 I want wine festival in my country too! So how many bottles you got? This lunch box looks delicious at the same time nutritious & easy to prepare. Hahaha I got five bottles! oh wow... so much wines... I however on the other hand I don't even know how to appreciate it... sadly..
Oh its okay! What do you like to drink?